HILL COUNTRY, TEXAS (September 29, 2017) – Texas Fine Wine invites wine enthusiasts to celebrate Texas Wine Month and this year’s exceptional harvest at its annual dinner on Friday, October 20 at Duchman Family Winery. Starting at 7 p.m., guests will enjoy a five-course Tapas and Texas Fine Wine dinner, featuring wines from Bending Branch Winery, Brennan Vineyards, Duchman Family Winery, Pedernales Cellars and Spicewood Vineyards. Go to TexasFineWine.com for ticket information. High Street Wine Company, San Antonio, October – enjoy flights of Texas white wines in September and Texas red wines in October, with $5 from each flight going to Hurricane Harvey relief. Austin Wine Experience, Austin, October 1 – this first-ever event from the Wine and Food Foundation of Texas includes a Texas wine panel and Grand Tasting, which will feature wines from Brennan Vineyards and Duchman Family Winery. Bending Branch Winery Texas Wine Month dinner, Helotes, October 12 – Bending Branch Winery hosts a special five-course dinner at Grey Moss Inn, featuring seven Bending Branch wines. Texas Reds and Whites, Austin, October 21 – The first Austin tasting room featuring only Texas wines, Texas Reds and Whites will host a free educational session and tasting with Texas Fine Wine. The “Like This? Try That!” session suggests Texas wines to try based on popular wines people are most familiar with. Pedernales Cellars Riedel Tasting, Stonewall, October 21 – Guests will enjoy a guided tasting of four Pedernales wines in glasses designed to enhance each grape variety’s bouquet and flavor profile. Texas Wine School Tasting, Houston, October 25 – Texas Fine Wine will lead a free 30-minute overview of the Texas wine industry followed by a tasting of 20 different Texas wines from 6 p.m. to 8:30 p.m.
Texas Wine Tasting at III Forks, Austin, October 26 – Guests will enjoy wines from more than 15 Texas wineries and light appetizers. Wine enthusiasts can have fun at home, too, with two tasting ideas from Texas Fine Wine: “Texas Two-Sip Tasting” where guests blind taste Texas wines against international counterparts, and “Like This? 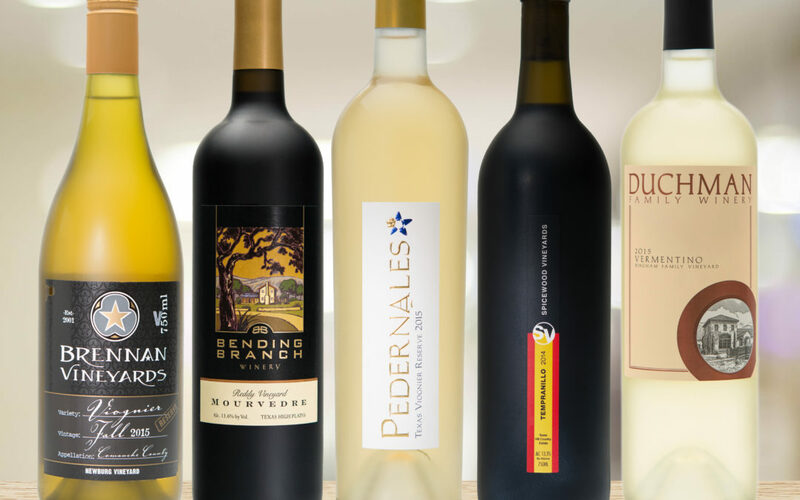 Try That!” where Texas Fine Wine suggests Texas wines that are similar in style to popular wine varieties. Texas Fine Wine also offers several wine pairing guides with fabulous recipes. Texas Fine Wine is an exclusive group of five highly respected wineries making quality, benchmark wines from Texas grapes. Follow Texas Fine Wine on Facebook, Twitter and Instagram.